Bones are important structures of the body that plays a role in protecting the soft tissue and serves as a lever for muscles. The human skeletal system is made up of 206 bones in the adult. These bones can be categorized as part of the axial skeleton or appendicular skeleton. The bones of the axial skeleton include the skull, vertebral column and ribcage. The appendicular skeleton bones include those of the upper and lower limbs, as well as the bones that connect the axial and appendicular skeleton like the pelvic bone. There are number of diseases that may affect the bones and disrupt the normal bone structure. Human bone is made up of three parts – mineral, matrix and cells. The bone mineral is calcium phosphate crystals deposited as hydroxyapatite. 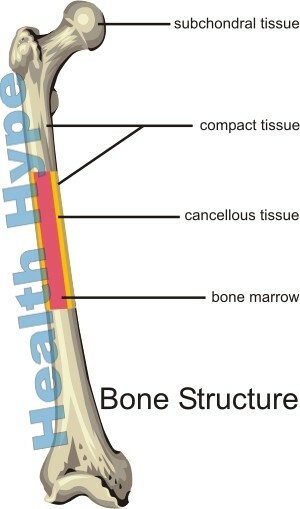 The bone matrix is made up on an outer compact tissue which is hard and inner spongy cancellous tissue. There are three types of bone cells – osteoblasts, osteocytes and osteoclasts – are responsible for forming, shaping, maintaining and resorbing bone. The constant activity of these cells and the interplay of its different functions are responsible for maintaining the the structural integrity of bone. Osteoporosis is a disease of the bone characterized by reduced bone density. It is the most common bone disease and is seen mainly in adults. Osteoporosis is a chronic progressive bone disease meaning that is a permanent condition that gradually worsens over time. In the early stages it is often missed and usually comes to light after a fracture. However, regular bone density scans in individuals at risk may allow for the early detection of osteoporosis. Bone density does reduce with advancing age, and at the same time there is a greater risk of falls among the elderly. This creates a situation where fractures are more likely to occur, be more severe than in younger individuals and it is less likely to heal fully. Normal bone maintenance is the responsibility of osteoblasts and osteoclasts. Another type of bone cell, the osteocyte, is actually an osteoblast that is trapped within the bone matrix. It also plays an integral role in maintaining the structural integrity of bone. Osteoblasts are responsible for the formation of new bone tissue while osteoclasts are responsible for resorption. The activity of these two cells are such that only 1% of the bone is undergoing absorption and/or resorption at any one time. The osteocytes therefore maintain the other 99% of the bone. Peak bone mass is reached in early adulthood. It maintains this state usually between the 20 to 40 year age range and decreases thereafter. The extent of this change is largely affected by genetic factors although diet, physical activity and hormonal changes particularly in woman also play a role. The diminished bone matrix seen in osteoporosis is more often due to reduced osteoblastic activity rather than increased resorption by the osteoclasts. Osteoporosis therefore is more common in the elderly (senile osteoporosis) and after menopoause in women (postmenopausal osteoporosis). It may also occur with a failure to reach peak bone mass in early adulthood. There are number of other factors that can impact on the maintenance of the normal bone and lead to osteoporosis. Some of these are pathological while others are physiological. Osteoporosis can affect any person irrespective of gender or age. However, it is more common in women and with advancing age. Sometimes the cause of osteoporosis cannot be clearly identified and since there is a lack of any pathological cause it is termed primary osteoporosis. Senile (age-related) and postmenopausal osteoporosis are also considered as part of primary osteoporosis apart from unknown causes (idiopathic) When a pathological or physiological cause of the osteoporosis can be identified than it is referred to as secondary osteoporosis. Some of the risk factors and causes of osteoporosis are listed below. With research, there is more conditions coming to light as possible causes of or contributing factors in osteoporosis.